The first of our headstarted chicks are released into the wild. Watching the black-tailed godwits fly by. Yesterday marked a significant milestone for the Project Godwit team. 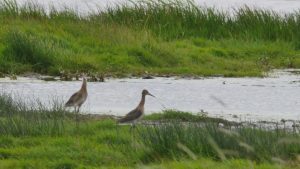 After months of preparation and hard work, our headstarted godwit chicks were released into the wild at WWT Welney. The chicks have all passed a health screening prior to release, and have spent the last few days flexing their flight muscles in the pre-release aviary at the release site. 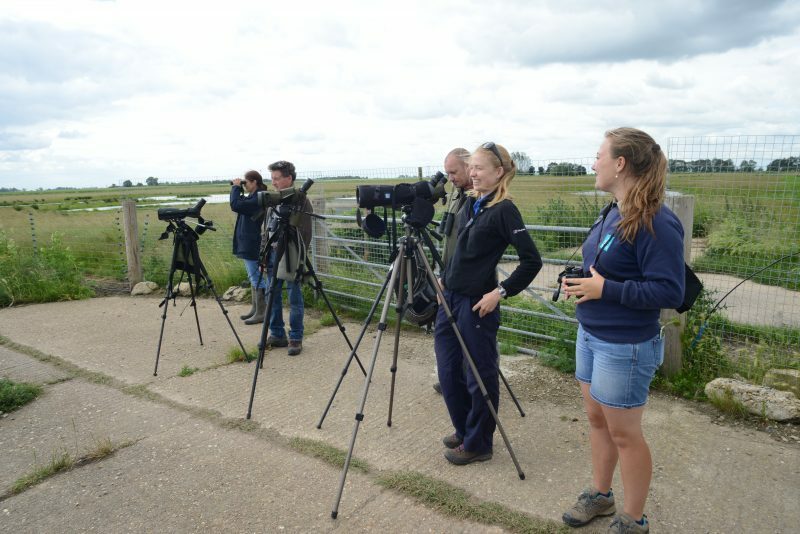 It’s hugely rewarding to see the chicks take their first steps into the wild, particularly for honorary godwit parents Nicky, Louise and Rosie, who have been working around the clock to provide for the chicks over the last few weeks at WWT Welney. The black-tailed godwits explore their new home (Bob Ellis – WWT). One of the class of 2017 (Bob Ellis – WWT). in Spain, Portugal and West Africa. 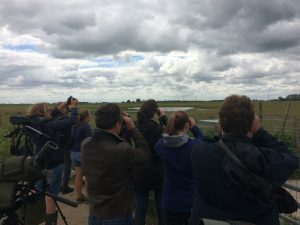 In two-year’s time, the expectation is that the released birds will return to the Ouse Washes to breed, boosting this fragile population, where we have been working to create safe, flood-free habitat for them. 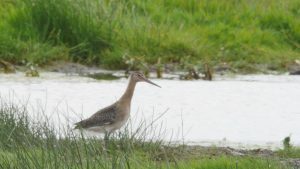 Posted in headstarting, monitoring1 Comment on Good luck godwits!